In years past any acknowledgement of how wide-ranging and inclusive the line-up of Oscar-nominated films were came with the tacit understanding that it was largely merit-based and genuinely reflected the finest films of the Hollywood year. This year, however, is different. The 90th Academy Awards – to be hosted a second time by famous-only-in-America talk show host Jimmy Kimmel – comes to us as one of the most heavily politicized ever. There’s the taint of the Harvey Weinstein sexual harassment storm, which exposed his decades of trying to get actresses to join in congress with him. The scandal embroiled some A-list actors too, including Oscar-winners Kevin Spacey (American Beauty, 2001) and Casey Affleck (last year for Manchester by the Sea) and the Oscar-nominated James Franco (127 Hours, 2011). Each revelation lead to more revelations and inspired the #metoo and #timesup anti-harassment campaigns, which have spotlighted the treatment of women in film, insisting they have not been getting the workplace respect or the big screen roles they deserve. On top of these is the ever-growing iron girder of the diversity issue, spawned by the spurious #OscarsSoWhite campaign, its claim since 2015 being that Oscars lacked ethnic and racial diversity, especially when it came to the contribution of African Americans. Coupled to this cause, the LGBTIQ lobby has become more strident in its flag-planting. And, of course, there’s the American President Donald Trump, who has become a comedy punching bag for every left-leaning talk-show host and Hollywood liberal. And this year it’s bound to be juicy because there’s more of him to hate. Trump was a favourite target at last year’s awards, but there wasn’t much to go on as he’d only just won. This year Hollywood’s anti-Trumpers will have a whole year of material from which to spin their comedy gold to share with the like-minded. Let’s not be coy; politics has long been part of the Oscars. Ever since Marlon Brando refused his Best Actor Oscar in 1973 for The Godfather to protest the mistreatment of native Americans the Oscars podium has become a de facto pulpit from which award-winners have been able to offer the world their two cents on their pet issue du jour. We’ve seen this feature grow like colic in a cow in the past few years as the issues of gender equality, pay inequality, diversity, identity politics, racial bias, feminism and political correctness have gained traction. This has produced some genuinely inspiring Oscar moments, such as Cate Blanchett’s acceptance speech for Blue Jasmine, but mostly it has fuelled the wide perception of the Hollywood community as a largely leftist group of self-appointed, self-important elitists. This might partially account for why the ratings for the Oscars telecast is now hitting historic lows. According to The Hollywood Reporter (27 Feb, 2017) the audience of 32.9 million was the lowest since 2008 (31.8 million; hosted by Jon Stewart; Best Film: No Country For Old Men) and the second lowest since the century began. There are two other reasons for the audience drop. One is that popular films tend to get overlooked for serious attention in favour of more independent fare with select audiences. A film can make a billion dollars, yet the only Oscar recognition it might get will be a few nominations in production categories. The other reason is that the so-called lack of diversity/women/black people in films is subject to debate, with many of the grievances having a bigger grounding in rhetoric rather than fact. The situation might not be perfect but, for instance, the huge success of Black Panther has highlighted the prominence African-Americans have enjoyed in American cinema since the breakthrough decade of the 1980s. There’s a faint chance that nervous TV producers will opt for fewer political punchlines, but with the scent of so many agendas hanging heavily in the tinsel, that’s unlikely. Also, we still have the stench of last year’s historic screw up – where feather-weight musical La La Land was mistakenly announced as best film before black drama Moonlight was given its due – emphasising Hollywood’s alleged racial bias as an issue. It’s a ridiculous charge. Chris Rock might have been happy to call Hollywood “racist” when he hosted in 2016, but that didn’t make it true. After all, if it truly was he wouldn’t have been allowed to host. Same goes for Whoopi Goldberg, who did the gig splendidly for four years. The upshot of all this political showboating and hash-tagging and issue awareness, of course, is that any Oscar winner that is seen as promoting a particular cause will now wear the suspicion that it won because it suited a cause, not because it was a good film. For instance, had Moonlight won in a less-politicized year it would have been seen to have done so because of its cinematic virtues not because it fitted so neatly into the #OscarsSoWhite agenda. So, having said all that – whew! – here’s a rundown on this year’s likely winners and losers, and what factors might figure into their victories, deserved or otherwise. 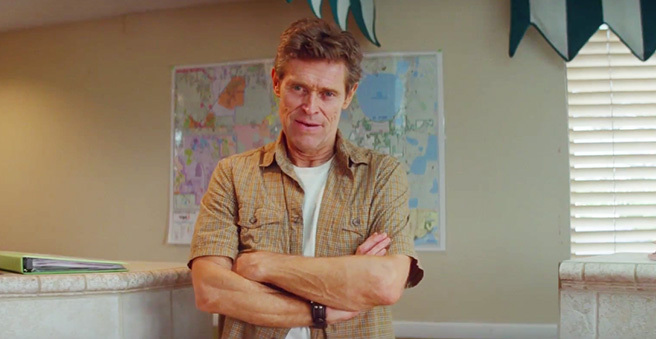 The deserving winner here is Willem Dafoe for his magnificent everyman performance as the property manager in The Florida Project. Woody Harrelson and Sam Rockwell do likewise in Three Billboards Outside Ebbing, Missouri, with Richard Jenkins for The Shape of Water the outsider. The big curio here, of course, is the presence Christopher Plummer for his turn as billionaire John Paul Getty in Ridley Scott’s All the Money in the World. Now, it’s not the first time in history an actor has been replaced, but it is the first time it’s happened after a film was in the can, and the replacement earned an Oscar nomination. Talk about awkward. If Plummer wins he’ll be facing down the challenge of not delivering the most embarrassing Oscar acceptance speech ever. After all, who else does he have to thank but Spacey? And not mentioning him will just make the matter more glaring. This is one instance where an Oscar nominee is probably praying that he doesn’t win. But he won’t mind so much, having won best support for the 2010 film Beginners. In a normal world the fight here would be between Gary Oldman for his astonishing turn as Winston Churchill in Darkest Hour and Daniel Day-Lewis for Phantom Thread, with Oldman winning out. But the LGBTetc lobby have artificially bloated the odds for the ordinary work of Timothée Chalamet in the drab gay drama Call Me By Your Name while Daniel Kaluuya for Get Out has benefited from #OscarsSoWhite hype that has supported his film since it came out almost a year ago. One of these sods have taken the berth that should have gone to Tom Cruise for American Made. The other contender is Denzel Washington for Roman J. Israel, Esq, which was unseen by this reviewer so an assessment of the performance isn’t possible. However, Washington’s lashing of the media for its falling standards don’t sit well with liberals, thus making him an exciting acceptance speech prospect. Another name that isn’t here that should be is James Franco, who was widely lauded for his delicious performance in The Disaster Artist. The subsequent allegations of his sexual misconduct, however, iced him out of consideration. Allison Janney’s blistering, darkly funny performance as a white-trash tiger mum in I, Tonya hits all the right Oscar bait beats, but it’s Laurie Metcalf as the haggard, tough-love suburban mother in Lady Bird that really pierces the soul. The other contenders are Lesley Manville for Phantom Thread, nominee regular Octavia Spencer for The Shape of Water – imagine the firebrand speech she’ll give if she won, and how hard it’ll be to play her off – and singer Mary J. Blige for Mudbound. Frances McDormand should win this for Three Billboards for proving again how her ability to play characters who are sweet and sour remains unsurpassed. But it’s going to go to Margot Robbie for her outstanding work as skater Tonya Harding in I, Tonya. Sally Hawkins is being overrated to the heavens for her glum romantic turn in The Shape Of Water; Saoirse Ronan is great in Lady Bird; Meryl Streep is terrific in The Post, but one gets the impression that by now she can do roles like this her sleep. She needs something truly daring to get that elusive fourth Oscar. She won for Kramer vs Kramer in 1979, Sophie’s Choice in 1982 and The Iron Lady in 2011 and has been nominated 21 times (including her wins), which is a record. The Hollywood push for diversity really sticks out with Jordan Peele’s nod for the massively overrated horror thriller Get Out. Nothing more than a competent exercise in genre-mashing, the nomination really looks out of place, and is definitely out-classed by the other nominees. The same applies to Mexican director Guillermo del Toro and his odd-bods sci-fi romance The Shape of Water. Leading the field with 13 nominations he is a Hollywood and fanboy darling and is likely to follow his countryman Alejandro G Inarritu, who took out back-to-back Best Director Oscars for 2014’s Birdman and 2015’s The Revenant. This marvellous achievement by a Mexican director was a reflection of genuine diversity, but has been bizarrely overlooked in place of the #OscarsSoWhite hysteria. The real heat in this category is between Paul Thomas Anderson for his masterful direction of Phantom Thread and Christopher Nolan’s reworking of the war epic with Dunkirk, which has eclipsed Steven Spielberg’s Saving Private Ryan as the biggest grossing film about World War 2.
Who should win? Give it to Nolan for the film’s portrayal of British pluck, a value Americans adore. The nomination for Indie darling Greta Gerwig for her subdued direction of Lady Bird is an award in itself, heralding her as a major directing talent. Oh, she’s also a woman so we must make an issue of that somehow. Errr…her nomination smashes through the glass ceiling of hetero-normative patriarchy and lays the groundwork for the ultimate dismantling of white male privilege in Hollywood. There. How’s that? Even if del Toro is undeservedly awarded best director in a misguided move by Hollywood to bolster its diversity cred, hopefully it’ll have enough sense to bypass The Shape of Water and give this key award to a worthy contender. In traditional terms, Dunkirk fits the bill most snugly, being an important film that also hit big at the box office. This would help address one of the growing criticisms of the Oscars over the past few years, that popular films deserve more recognition. This occurred after the hugely successful The Dark Knight (also directed by Nolan) was overlooked despite it widely being considered prime Oscar material. Come on, Hollywood. Get to it. In a sensible Oscar year Phantom Thread and Darkest Hour would be the closest challengers, with Three Billboards a strong outside chance. But Lady Bird does have a sandwich board proclaiming “directed by a female”, and Luca Guadagnino’s Call Me By Your Name will no doubt lock in the gay vote as it brandishes its ever-present threat of denouncing anyone who says anything critical about anything gay as homophobic war criminals. It’ll be an expensive, Pyrrhic victory if Get Out gets this. Politically correct enthusiasts have been falling over themselves trying to interpret the film as some sort of deep and meaningful allegory about race relations in America, but its really just an OK horror thriller with race as part of its premise. Give this mediocre film an Oscar and every African-American Oscar winner for the next five years, however deserving they might be, will carry the stench of tokenism. As for The Post, Steven Spielberg’s fine pre-Watergate historical drama about the publication of the Pentagon Papers is being seen by some as a reminder in the era of fake news and the public’s ever-growing distrust of the media that liberal journalism can do good. Oddly, while Streep is nominated, Hanks isn’t. Neither is Spielberg, but a lack of a directing nomination for Ben Affleck didn’t stop Argo from taking Best Film in 2013. Having succumbed to sequelitis and the temptation to overplay their touchy feely strengths, Pixar got back on track with Coco, an uplifting film that rediscovers the studio’s love of meaningful whimsy. The deep dive into Mexican culture and its Day of the Dead celebrations also won’t hurt its chances with diversity-minded Oscar voters. Loving Vincent deserves special mention for animating an entire film using Van Gogh-like paintings for each frame while The Boss Baby earns kudos for taking a whacky premise and making it work so well. The other contenders are The Breadwinner and Ferdinand. How great it would be to see Aaron Sorkin take Adapted Screenplay for the literate, intelligent Molly’s Game (on which he also debuted as a director). Greater still would be Oscar recognition for the work Scott Frank & James Mangold and Michael Green put in to turn Logan into one of the most intelligent, character-driven entries yet in the superhero genre. Best Original Screenplay should go to Emily V. Gordon and Kumail Nanjiani whose subversive cross-cultural comedy The Big Sick showed the plight of a Muslim man (Nanjiani) who rejects the restraints of his religion so he can pursue love freely. Best Cinematography should go to Hoyte van Hoytema for Dunkirk; Beauty and the Beast will get Costume Design and Production Design: Original Song must go to This Is Me from The Greatest Showman. It’s this year’s Let It Go. And written by the same people, no less. In a tough field, Best Visual Effects will go to Star Wars: The Last Jedi over Blade Runner 2049, Guardians of the Galaxy II, Kong: Skull Island and War for the Planet of the Apes. There still needs to be a special Oscar for the pioneering work in motion capture performance done by the Apes, Lord of the Rings and Star Wars films. We’ll be getting to a point soon where Christopher Plummer could have replaced Kevin Spacey with just a few days work on a computer. The live Oscars telecast airs Monday on Nine at noon.